The EAUC is fortunate to have a dynamic and dedicated staff base who are passionate both about sustainability and the Further and Higher Education sector. As the EAUC continues to grow, each member of staff strives to inspire change by continually learning and developing innovative new ways to solve problems and challenge unsustainable practices. Drawing together a wide range of experience from a wide range of backgrounds, EAUC staff work hard to support all EAUC Members and strategic partners (and anyone else who needs them!) throughout the UK on all sustainability issues. The EAUC has two offices. Thanks to a partnership with the University of Gloucestershire, the EAUC’s Head Office is based at their Park Campus in Cheltenham. The University of Gloucestershire has embraced sustainability and was the first to achieve university wide ISO14001 status. We also have a Scotland office based at Queen Margaret University in Edinburgh. Commended by his Headmaster for being able to spell the word 'environment', it seemed Iain's destiny at an early age that he would develop a passion for sustainability. This destiny was later fulfilled when Iain moved from Ireland to England to became the first dedicated Environmental Officer in a UK college. Iain soon became the EAUC trailblazer leading the writing and realisation of a business plan for the newly formed charity. As the organisation grew and gained momentum, Iain became the EAUC's first Chief Executive and is the face of the EAUC. Today he is leading it through a significant new strategic vision and rebrand to reposition sustainability for university and college leaders as ‘just good business’, the ‘new norm’ in how we all will work in the future. After a period working with an agricultural community development in Kenya, a love of Africa is in Iain's blood. With his family he runs a small sheep farm in the Teme Valley and supports a community food storage and enterprise scheme in eastern Uganda. Fiona joined the team in November 2005 and is responsible for managing our operations and planning. She is responsible for our business systems, managing our finances and office and our legal requirements. 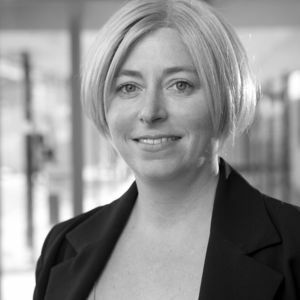 Fiona is responsible for monitoring, measuring and reporting on organisational performance. Fiona is also responsible strategically for all Member Services such as our newsletters, events, Annual Conference, Green Gown Awards and the Sustainability Leadership Scorecard. Prior to joining EAUC, Fiona has gained experience working in a variety of charities, both regional and national, as well as working at a university. Fiona works part-time - Mondays - Thursdays spending her other time on gardening and admiring her green roof. Claire joined the team in October 2018 as our dedicated Events Officer. Originally from South Africa she came to the UK armed with a degree in Communication and English. Her eclectic background includes running huge conferences all over the world for large international companies; organising awards ceremonies at the Royal Albert Hall with the Prince of Wales to music concerts and fundraising days for small grass-roots level charity among many other events. Claire loves a challenge and is looking forward to supporting all our events. Claire volunteers at the National Trust, drives an ambulance for injured bats, and loves dogs of all shapes and sizes. With a degree in History and a Postgraduate Diploma in Environmental Policy and Management, Claire joined the team in November 2016 as our Member Community Officer after previously working in the environment and charity sector. 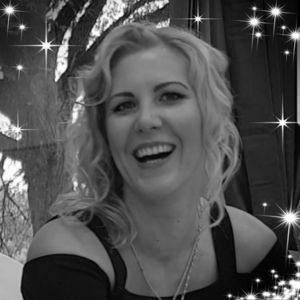 Claire is responsible for the membership journey of our Members and manages the Regional and Communities of Practice groups. She also sits on the HEPA Responsible Procurement Working Group and the Courtauld 2025 HaFS Working Group. Please do contact her if you have any questions about Membership. In her spare time, Claire volunteers at a local repair cafe, is a keen sportswoman, loves to travel and is currently attempting to learn Spanish. Nina joined the team in August 2015, after working on Events and Communications for a number of organisations. Nina is responsible for delivering added value to the Green Gown Awards and ensuring greater learning and dissemination for the sector. Aunee joined the team in March 2017 and has worked in Marketing for many years, both in the private and public sectors. Aunee supports the whole team on a day-to-day basis. Aunee enjoys walking and yoga in her spare time. Rosie joined the team in April 2017 as Media and Campaigns Officer. 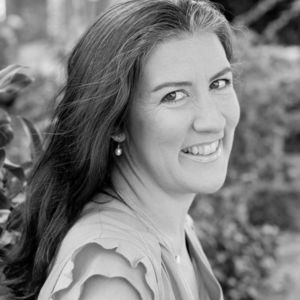 She comes from a busy press office in London specialising in empowering small businesses. Her role at the EAUC will be to amplify the EAUC voice and ensure campaign messages are heard regionally, nationally and internationally. In her spare time, Rosie attends her local Karate club and is very fond of cheese. Marta joined the team in October 2017 as a Finance Officer responsible for administering financial operations to meet legal requirements. She has two little girls, (a 16 month old and a 5 year old), and in her spare time she dances Kizomba and plays handball in an amateur team in Stroud. 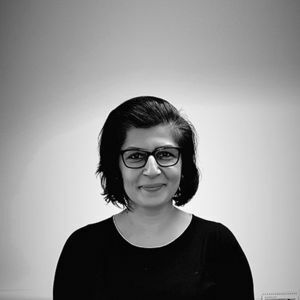 Teodora joined the team in October 2018 after working in Marketing and Communications at a university and more recently for an independent retailers association. She is our dedicated Membership and Communications Officer and is committed to engage our broad range of members to make sustainability just good business. In her spare time, Teodora enjoys doing arts and crafts, homemade cosmetics, yoga or getting ready for a camping trip. Scott joined our EAUC Scotland team in 2019 as Scotland Programme Administrator. Scott graduated in 2015 with a degree in Ecology and Conservation from the University of St Andrews before going on to work for a marine charity followed SEPA and then a small environmental organisation in Edinburgh. Scott handles the admin and communications for the Scotland team along with assisting other projects where necessary. Outside of work Scott enjoys sports,running, and is part of the Edinburgh Over Plastic volunteer group. Jill leads on carbon and estates projects, data analysis, events, resources and policy engagement. Jill has an MSc in Environmental Sustainability from the University of Edinburgh and has previously worked as a Sustainable Development Officer at East Lothian Council and a Senior Consultant at The Edinburgh Centre for Carbon Management. Lauren joined the team in February 2019 with a professional background in the environmental education not-for-profit sector, with a varied career which included serving as a former Education Director and Curriculum Developer. She has a BS degree in Environmental Science, specialising in environmental sustainability education and communication, and a MSc in Ecosystem Services. After a stint in the IT sector focused on website design, usability and accessibility, she is excited to jump back into the field and share her passion for sustainability. Lauren spends her spare time knitting and crafting, reading, doing yoga and exploring new places by foot. Rebecca joined the Scotland team in September 2014 as Scotland Programme Coordinator, and in September 2016 stepped up to become Scotland Programme Manager, leading the strategic direction of the EAUC-Scotland office. Rebecca is also Co-Coordinator for the Youth Network for Scotland’s UN recognised Regional Centre of Expertise in Education for Sustainable Development, Learning for Sustainability Scotland. Rebecca started her sustainability career with a degree in Sustainable Development from the University of St Andrews, where she helped launch the University’s Transition Initiative and student re-use scheme, and has an MSc in Environment, Culture and Society from the University of Edinburgh. She has spent a little time outside the tertiary education sector too, working with a youth theatre company and a project finding creative uses for empty spaces on a local high street.